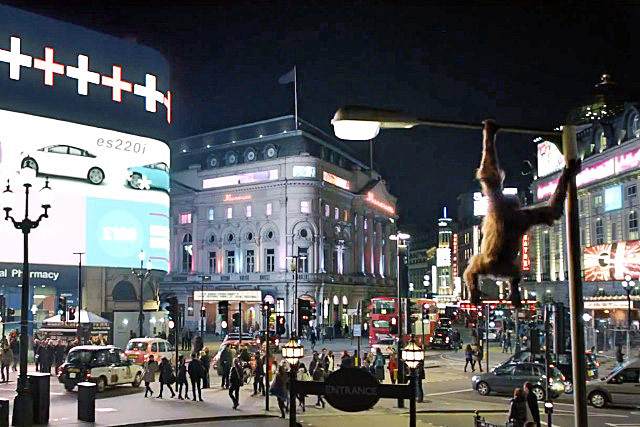 An orangutan visits London to observe the hustle and bustle from a lamppost in Piccadilly Circus before returning to the rainforest and her child, in a touching ad for SSE. The integrated campaign is centred on the 90-second TV spot, which will also appear in cinemas and online, and which uses the dreamy strains of Nat King Cole’s When I Fall in Love. The campaign is designed to reinstate consumers’ faith and trust in energy companies, after various scandals concerning price fixing. At its heart is SSE’s message that it has frozen standard prices until 2016. The campaign, which kicks off this week, includes outdoor, press and digital activity, all of which highlights SSE’s "actions to make a difference" through commitments to affordable energy. SSE’s YouTube channel includes a making-of film, showing how the ad was created, charting the journey of Maya the orangutan from rainforest to metropolis.